We have been growing soft fruit on our farm for over 30 years. For some time we wanted to create an alternative way of using our fruit all the year round. 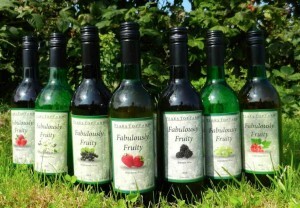 After careful consideration and research we launched our Fabulously Fruity range of fruit wines in June 2012. The launch was a huge success, featuring in the Grimsby Telepgraph. Demand soon outstripped supply and we had to make quick decisions on expanding production! Over the last three and a half years our Fabulously Fruity brand has grown considerably to the business it is today. Our delicious range of wines are made purely from the fruit that we grow or harvest from the hedgerows in the case of elderflowers and sloes. Everything is produced and bottled on the farm in our purpose built winery. The beautiful colours and sweetness of the wines are determined by the fruit they are produced from. They are made purely from fermented fruit and therefore retain the characteristics of the ‘raw’ fruit. No artificial colours or flavours are added and there are no grapes or grape extract involved in the process. The wine is made in a traditional style, in small batches to retain the rich vibrant flavour of freshly picked fruit on a summers day. The beautifully smooth taste and quality of each one of our wines can be enjoyed at any time! 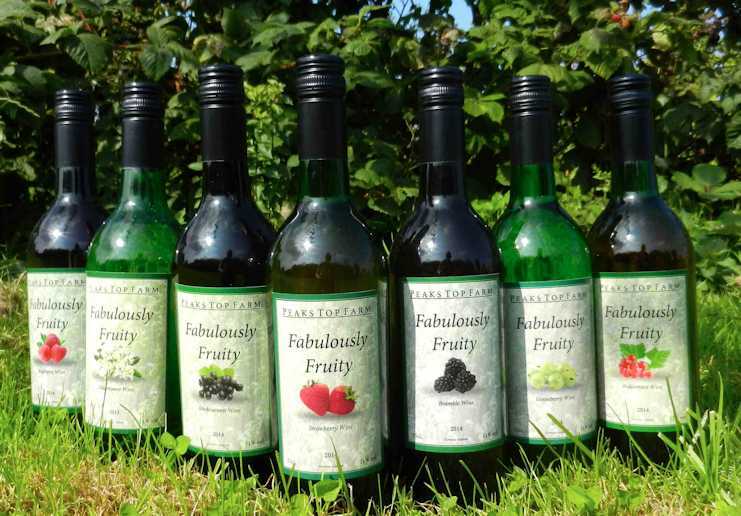 This selection of fruit wines are for sale throughout the year (subject to availability). They are priced at £7.95 per bottle. The flavours in this range are as follows: Black Currant, Bramble, Gooseberry, Raspberry, and Strawberry. Additionally we produce a ‘Dry Gooseberry’, which is a big hit with fans of dry white wine. This range of wines are only available at certain times of the year, from when each fruit is in season. Due to the limited availability they are priced at £8.95 per bottle. Red Currant, Elderflower, Rhubarb, Rose Hip, Plum, and Sloe. Visit our shop now and treat yourself to a bottle (or 6!). We deliver nationwide to the UK mainland, or if you like, you can collect your order from the farm.